"The Trunchbull" is no match for Matilda! They both fantastic! The book gave me such joy as a child and Kate Winslet brings the story to life! What does Kate Winslet bring to the story that you wouldn’t experience if you just read the book? Comfort! She has that voice that just oozes warmth and joy. A classic story that will stand the test of time for generations to come. 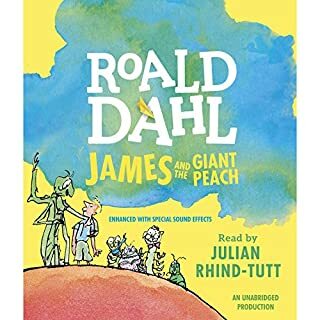 Having listened to James and the Giant Peach, as well as BFG, this is my favorite. This stars a very intelligent little girl and includes a really sweet teacher. 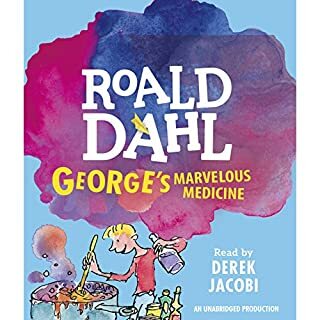 Rather you are 8 or 88, Dahl always entertains. I was totally absorbed into this story. It gets a little intense in the middle, with lots of screaming. Very young children might get upset or scared, but for 8 and up it is a wonderful experience. Kate Winslet, does a very, very good job. No one could have done better. 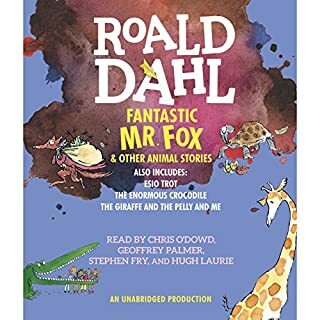 My 10 year old daughter and I thoroughly enjoyed listening to this story. Kate Winslet's narration is superb. The British phrases are charming even though it was occasionally hard for my daughter to understand. Thank you for such an enjoyable story! I DID LOVE THIS BOOK! I did NOT love the editing! I Love the performance and LOVE the story the volume was just all over the place! Roald Dahl was always a favorite! Would you listen to Matilda again? Why? Yes. I've read the book many times and it never gets old because Roald Dahl is so creative. I live his word play and how kids become champions over evil! Matilda because she was so mistreated, but used her brain and powers to triumph! There us a film. It's quite different from the book! If you've only seen the movie, it's very different, but books are always better. 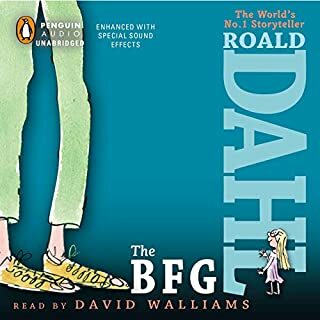 Roald Dahl is my favorite author and his stories never fail to captivate me. He's so creative. Matilda doesn't disappoint! Can't even begin to explain why I purchased a child's book, that I didn't choose to have my children read in the 80's when it came out. Perhaps just for the fun of listening to Kate Winslet... her narration is spot-on perfect. 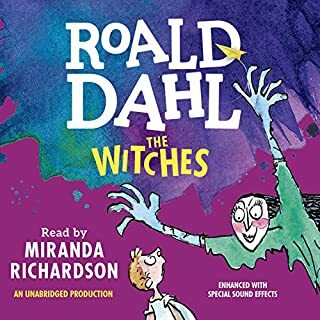 I (an adult) had a lot of fun listening to this quirky little tale centered around the precocious 6 year old Matilda... but I would still be very cautious about offering to younger children, sensitive children, or ones that might impulsively imitate her behavior or the language of the adults in the book. Cast includes Matilda's abusive, dishonest and neglectful parents, a horribly abusive school principle (throwing children, locking them in a nail studded locker for hours, lots of verbal abuse) and a lovely school teacher and librarian. Safety issues bothered me, like Matilda walking to library daily without parents knowing, going to the "lovely teacher's" home without anyone knowing. Plot also includes "revenge pranks" that could have seriously hurt someone (like putting peroxide into father's hair tonic). Everyone's kids are different, just worth a preview and assessment. This is a great match of story and performance. I've loved Matilda since I was old enough to read, my copy of Matilda has been replaced several times over. From now on I want Kate Winslet to read all books, every book. She throws herself into the story with abandon. The grotesqueness of the Wormwoods, the brutality of Miss Trunchbull, the sick mess that is Hortensia (blech!) and of course, the loveliness of Matilda and Miss Honey. I would love to have been a fly on the wall as she recorded this. My only compliant is that Kate does get really loud. It fits the performance, but it can be overwhelming. Even better than before- Kate Winslet was perfect! 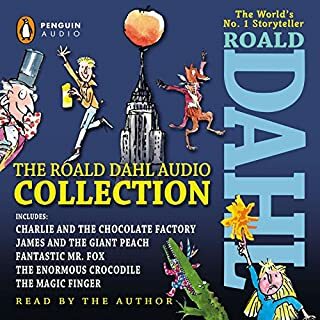 Probably my favorite audiobook I've listened to so far. The first few chapters when Matilda was discovering reading and messing with her parents. This book makes you think about growing up, parenting, and everything in between. It made me grateful for my parents and made me want to constantly have a book in my hands. Kate Winslet's narration was the most perfect thing ever. Even if you've already read this book, get her audio. It's a magical thing. What made the experience of listening to Matilda the most enjoyable? Kate Winslet, an obviously great actress, brings this story to life. Without a hint of timidity she dives into each character, making them all feel truly unique without pulling you out of the story with unnecessary exageration. The story is amazing, it is Annie for the 21st Century. 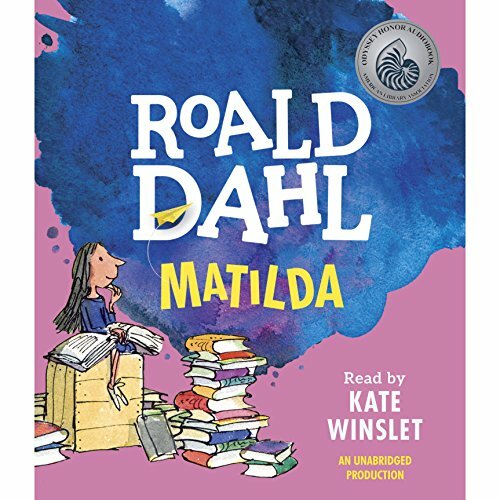 Matilda does not (even if she were able) rely on any adult to get things done, and fully takes charge of her own destiny. There is not a single adult in this story that is not pitiful; yes, even the likable Ms Honey is rather pitiful as an adult. And, even though they are all pitiful the story does not get bogged down in fee-sorry-for-the-kids mantras. It is completely entertaining, from beginning to end. My favorite, is a small one where Violate and Matilda are told of the horrors in the school by an older student. That scene allows you to envision a thousand stories of the kids' endurance and rebellion at the school. There is already one. "The right of every kid to stand tall, no matter how small." But if I were going to make a tag line it might be something like; "Matilda, when life gives you lemons, make champagne." I was smiling frequently throughout. Childrens story. The characters are one dimensional and greatly exaggerated. And they are fun, fascinating, laughable. I loved these characters. The happy ending was good. The narrator Kate Winslet was fabulous. I loved the way she interpreted characters.